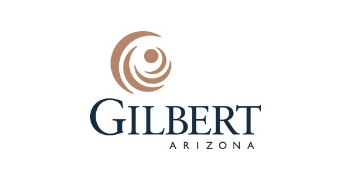 The programs of the Gilbert Chamber are designed to help you grow your business and to build a strong brand within the community. We work to provide you with resources to save you both time and hassle so you can do what you do best - run your business! This program is designed specifically for the benefit of business owners as they come together to explore and discuss common issues and business strategies. Together, they learn from trustworthy sources and share practical growth resources and opportunities. The Business Owners Growth Group meets monthly on topics including financing, human resources, tax reform, customer service, advertising and promotion, and more. Eligibility: Participant must be the business owner, in business for at least 3 years with five or more employees. 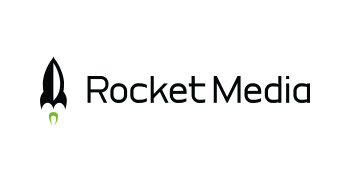 Referral Teams are formed by local business owners and employees, with no more than one member from any given industry. The goal of the teams is to help generate business referrals for others within the group. The system is ideal for both new businesses working to establish themselves and for established businesses looking to expand and generate new contacts. At the Gilbert Chamber, it's all about relationships! Eligibility: Represented business must hold a Chamber membership at or above the Business Level, provide regular and valid business referrals, and adhere to the Referral Team attendance policy. Cost: Included in Chamber membership - Business Level and above. The Gilbert Chamber has partnered with service providers to offer savings to our members and their employees. Health Discount Plan- Healthcare can be expensive; this exclusive member program can help you and your employees save on medical expenses and you can keep more of your hard-earned money where it belongs – in your wallet! Office Depot I Max - We have joined a group of over 1,000 Chambers of Commerce to get the best pricing possible on the items you use the most from Office Depot | Max. In addition to office supplies and paper products, this partnership provides free, next-day delivery, a personal corporate representative, and Chamber discount pricing on hundreds of products. Gilbert Chamber of Commerce members enrolled at or above the Business Level membership also hold a U.S. Chamber of Commerce membership at no additional charge and are eligible for USCC savings and discounts. FedEx - Get the speed and reliability of FedEx at exclusive USCC member pricing. Enroll for free in the FedEx Advantage® program and start saving on FedEx® shipping and business services, no minimum shipping required. Small Business Nation - U.S. Chamber of Commerce Small Business Nation® was founded specifically to help startups and small businesses succeed. We're dedicated to ensuring that regulations don’t impose an unnecessary burden on business owners or stifle economic growth and job creation. Our nationally recognized team of lobbyists and policy experts will fight for your interests every day on Capitol Hill, in the courts, before the White House, and in federal regulatory agencies.